Another poll in EU Membership? Nigel Farage seems to have surprised his own side as much as those of us who are sensible enough to understand that EU membership is the best way to serve Britain’s interests – economic, social and cultural. Many of us who wish to stay in the EU have also stated our preference for a further vote on membership. I wholeheartedly believe that the British people deserve another say. The 2016 referendum campaign fought by the leave side was full of lies – rather than receiving more money the NHS is in crisis. What is more, the franchise was limited to that used in general elections which meant that EU citizens settled in Britain had no say. The final consideration was the lack of any threshold. Referendums of the magnitude of this one should require at least a 60 per cent majority. Yet the idea of another referendum is fraught with difficulties which need to be resolved before it goes much further. The main one is the substance of the referendum question. Nigel Farage wants it framed as accept the deal or reject the deal and leave the EU. This is obviously out of the question. The question need to be accept the deal or reject it and maintain the status quo which is membership of the European Union. Now let’s look behind Farage’s unexpected demand. He and very many other on the ultra-right, both inside the House of Commons and elsewhere in the country, want to turn Britain into a small state, low tax, low wage corporate tax have. Brexit, freeing the UK from essential safeguards and protection guaranteed by our membership of the EU, gives them the means to do that. Britain remains a civilised, tolerant and caring country. London is a world-class city. We can only continue to be the country we are by remaining alongside our European neighbours and being part of the largest trading bloc in the world. It’s called the European Union. I’m in London today, supporting Labour’s Mayoral candidate for London, Sadiq Khan. The polls opened at 7am and will close by 10pm tonight. So there is plenty of time to cast your vote. The choice for London’s mayor is clear. Sadiq has lived and worked in London his entire life. He has represented Tooting as a Member of Parliament for 16 years and is bringing up his two daughters in what he himself describes as the ‘greatest city in the world’. Sadiq knows London. He understands Londoners and cares passionately about the city. He has campaigned relentlessly to ensure that the people of the London have a clear choice in this election. Sadiq has outlined his vision for the capital, how he intends to make this great city even better. He has a clear vision for what needs improving and sets out how he intends to achieve the improvements. This includes improvements to transport, housing and the economy. You can read more about Sadiq’s vision here. And his full manifesto is available here. And if you are unsure about where your local polling station is you can find it here. This week saw the release of a YouGov survey where 43% of women in London have said they have been the victim of sexual harassment in the last year. A huge number of women in London, it turns out, have had to endure intimidating and unwanted attention from men, much of it coming whilst they are travelling on public transport. According to the poll 31% of women aged 18 to 24 experienced unwanted sexual attention on public transport and 21% of 25- to 34-year-olds. Overall, 5% of the women surveyed had experienced unwanted sexual contact on public transport. The accounts have ranged from the creepy and unsettling to the genuinely terrifying. More worrying is how much these crimes seem to go unreported and are not generally discussed. The fact that it took one offender, Lee Read, to attack an eleven year old girl before he was apprehended is very worrying; this was despite the fact that he been filmed harassing several other women on the tube previously. These statistics are worrying in and of themselves, but I was also troubled by how some of the media reacted to them as well. Many felt that the intimidating behaviour that many women have been subjected to with alarming regularity should not be considered sexual harassment. But that hasn’t deterred people from standing up against harassment. Instead, End Violence Against Women wants an awareness campaign, but the fact is when Hollaback, the anti-street harassment group, set up a UK operation two years ago, the idea that women would shout out when the victim of sexual harassment was unheard of. Julia Gray, co director of the organisation, said: “I was told, ‘good luck with that’. The wider community will never believe that women should speak up for themselves.” Since then there have been many stories in which women have publicly shamed alleged abusers. Another year has gone by without a single woman being nominated for Palm d’Or at Cannes. After suffering two weeks of fierce criticism, the organisers admitted that they needed to make a concerted effort to increase the number of female film-makers competing for the prize. Festival president Gilles Jacob said: “I am sure that next year the chief selector, Thierry Frémaux, will look more carefully to find films by women.” He went on to say that it was a “shame” that only one female director, Jane Campion, had ever won the festival’s top prize. I hope that we will see at least one female director considered for next year’s prize. Last week I had the great privilege of hosting a dinner for the organisation IMPALA, where we discussed the future of the music industry and copyright. IMPALA are an organisation that represents the independent music industry at the European level. One of the highlights for me was presenting the IMPALA award for “European Independent Album of the Year” to Martin Mills, CEO of the Beggars Group. 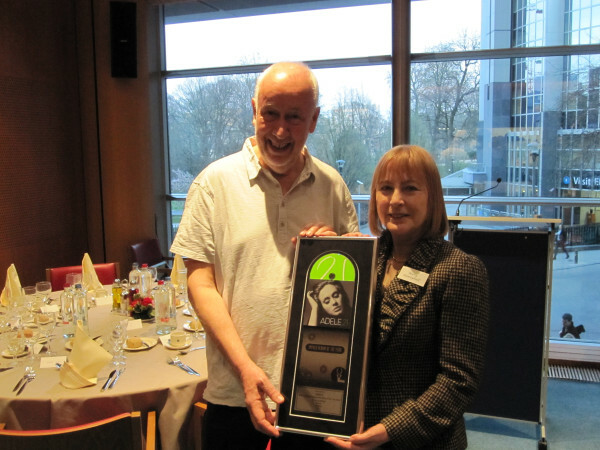 The award was in recognition of the Beggars’ artist Adele’s incredible success with her exceptional album “21”. The thing that became very clear to me is how difficult a position the independent music industry is currently in. With the exception of acts such as Adele, independents have to work very hard for their artists with relatively little reward in comparison to the bigger labels. The fact is that less than 40% of the music played on European radio or downloaded in Europe is actually European. And only 5 out of every 100 artists in the top 100 are signed to independent labels. This is a situation that is unlikely to improve if the current deal for Universal and Sony to acquire their rival EMI is allowed to go through by the Commission. As a representative for London where the creative industries are the second largest employer after the financial sector, I know how important it is both culturally and economically to support genuine homegrown businesses such as the ones IMPALA represents. In the music industry, the independents are responsible for 80% of the innovation and 80% of the jobs. That is why it so important that politicians at the European and member state level listen to their concerns. I was very angry to see this on the BBC website. “Is London sucking the life out of Britain?” The answer is an emphatic “no”. Far from extinguishing life, I truly believe London is the greatest city in the world. Even this piece on the BBC website had to acknowledge that London is in the super league with Paris, New York and Tokyo. Having spent time in both Paris and New York, I know London is far better than either of these cities. London has more theatres, cinemas, museums and other cultural venues, better shops, greater sporting opportunities and a lively atmosphere quite unlike anywhere else. 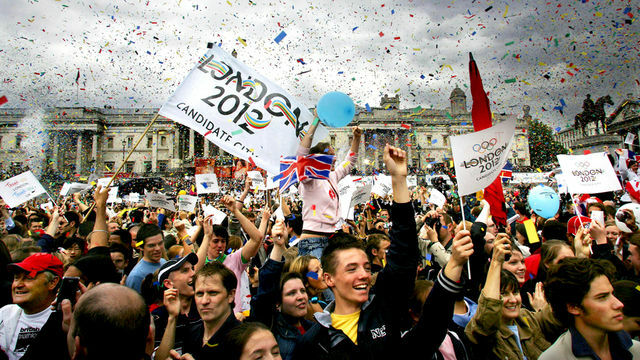 Few places in the world can match us for ethnic diversity, one of the reasons why London was awarded the 2012 Olympics. Since I have never visited Tokyo, I’m not qualified to comment, though my hunch is that it’s unlikely I would prefer it to London. We should all be proud of what our capital gives us. Thanks in no small part to London, Britain is a prosperous country. While it may be true, as the article claims, that talent is drawn from other places in the country to the capital, surely it is good that this talent is encouraged and given the opportunity to develop? It’s all very well to wish that the UK was a less centralised country. But the fact is that for hundreds of years there has been a concentration of power and people in London. For the number of people living in Britain, its geographical size is relatively small. This inevitably means there will be large population centres, and as travel gets faster, so more people will live in the capital. I get very fed up with having to defend London from criticisms such as those voiced in this piece. Yes, London is a large and crowded place and it’s expensive. However, we are not insular, accommodating as we do people from all over the world, while those who claim we are rude and not interested in each other have obviously never experienced the sense of community felt in all parts of our city, the greatest in the world. No-one, least of all me, is saying the election was good for Labour. The result appears to reflect the genuine uncertaintity of the British people – no clear majority and no clear winner, even under our unfair first past the post voting system. The 2010 election will, I hope, put paid for ever to the myth that first past the post produces “strong” government, ie one party as the clear winner. Hung parliaments are not as rare as we may think. 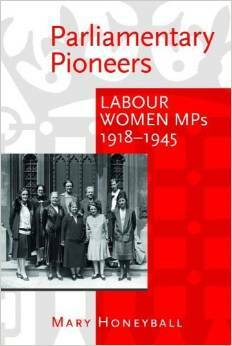 There were five during the twentieth century, the last of which occurred after the February 1974 general election. A student political activist at the time, I remember it very well, as I am sure does Lib Dem MP and current negotiator Chris Huhne, who was a member of the Oxford University Labour Club at the same time as me. If there are any lessons to be learnt from that time, the Lib Dems would do well to remember that the then Liberal Leader Jeremy Thorpe stuck to his guns on electoral reform, the issue which caused his talks with the incumbent Tory Prime Minister, Edward Heath, to collapse. Labour leader Harold Wilson, who had been Prime Minister between 1964 and 1970, was then invited to form a minority government by the Queen. The next few months saw a difficult and unstable “Lib-Lab” pact until a further general election was held in October 1974, resulting in a single figure majority for Harold Wilson. If this shows anything, it’s that minority governments or governments with small majorities are bad news. To use the current parlance, I would say that because of their instability, in the national interest minority or small majority administrations should be avoided at virtually any cost, especially at a time of economic downturn when grasping financial markets can create extreme havoc. For the record, Britain’s first hung parliament in the 20th century was in January 1910 when the Liberal Party were elected under Prime Minister Herbert Asquith and governed as a minority. The party sought a bigger mandate at the polls in December that year but failed to gain a significantly different number of MPs. They then governed as a minority with the support of the Labour Party and Irish Nationalists until 1915 when Prime Minister Herbert Asquith formed a wartime coalition. In the general election of 1923, Prime Minister Stanley Baldwin’s Conservatives had more seats than the Labour Party in a hung parliament but stepped aside for Labour Prime Minister Ramsey MacDonald. Baldwin’s tactics were rewarded when they were returned to power in a landslide victory less than a year later in 1924. Later that decade in 1929, the minority Labour Government, again led by MacDonald was supported by the Liberals. However, in part because of the Great Depression, Prime Minister MacDonald formed a coalition government including Conservatives, some Liberals and a small number from his own party. This ”National” government went on to win the 1931 and 1935 elections. While not created as a result of a hung parliament, our most famous coalition was formed by Winston Churchill to bring all political interests together during the Second World War. As a matter of interest, there was also a second coalition government during World War One put together by Lloyd George. It continued until 1922, having been re-elected in the general election of 1918. 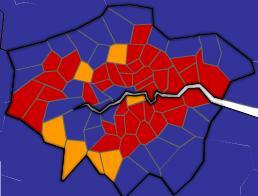 To return to the present day, Labour in London can take some heart from the results in the capital. The parliamentary results showed only a 2.5% swing away from Labour to the Tories while it was 5% across the UK as a whole. Addressing the Culture and Education Committee yesterday, Spanish Culture Minister Mrs. Gonzales-Sinde gave priority to the consolidation of culture as a factor for economic growth and social cohesion. As a London MEP I was obviously interested in this as the creative industries are the second largest sector in London’s economy (after banking). Mrs. Gonzales-Sinde pointed out that the creative industries account for a significant percentage of the whole of the EU’s GDP, and that the recession had seen this percentage grow. The ‘ talent industries’, as she called them, had managed to absorb much of the impact of the financial crisis, and had therefore, become even more important to the economies of the member states. The importance of the creative industries is such that I pressed Mrs. Gonzales-Sinde to go in to further details about how exactly she was going to support them. She said that they are holding a European Forum on Culture and Economy in March and that there would be an ad hoc group set up to look in to the issue. This may not have been as specific an answer as I would like but it was very encouraging to see that the Spanish Presidency will be taking cultural issues seriously. 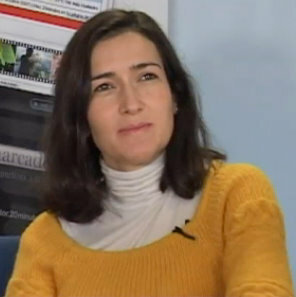 Mrs. Gonzales-Sinde continued by giving us two other broad aims for the Spanish Presidency, which runs for six months from January to June this year, in regards to culture. The other two were to take advantage of the potential of culture for local and regional development, promoting European Culture with a view to enhancing people’s sense of European Identity as well as promoting tourism and the development and dissemination of digital cultural content. The latter is one of the main issues being discussed in the culture committee at the moment. Mrs. Gonzales-Sinde rightly pointed out that the difficulty is finding the balance between giving Europe’s citizens ready access to cultural goods from all over Europe and the world, and ensuring that artists and the creative industries more broadly are suitably paid for their output. Mrs Gonzales-Sinde proved to be very knowledgeable about Cultural issues and gave a speech that was interesting and ambitious in its aims. This was very welcome as the presentions to Committees by ministers from the country holding the Presidency are sometimes disappointing, focusing too much on the ministers own country rather than giving a broad European perspective. “I cannot close my remarks without highlighting a task that arose with the very birth of the European Union… the fight against discrimination. Women, minorities, and more than a few other collectives in our respective countries need us to redouble out efforts to ensure access to culture by the whole of out citizenry. I was impressed by Angeles Gonzales-Sinde’s passion and understanding of the potential power for good contained within culture. I hope to be able to work with her to achieve the aims that she set out and with other issues in the Culture and Education Committee. Just in case you are confused as to why there is a Spanish Presidency when Belgian Mr Van Rompuy was appointed President of the EU Council of Ministers, the position is that Van Rompuy now chairs meetings of the European Council and was elected to do this for two and half years with the possibility of extending this to five years. Individual member states still hold the Presidency on a rotating six monthly basis as before.